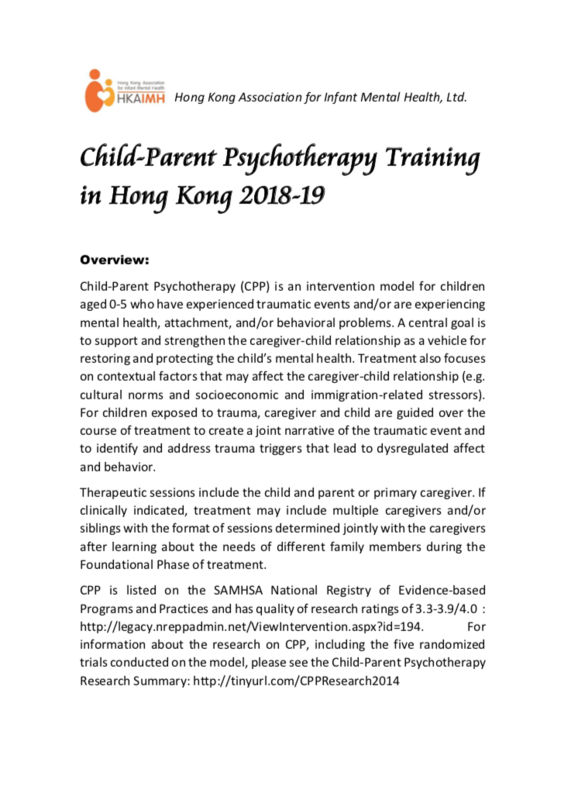 Child-Parent Psychotherapy (CPP) is an intervention model for children aged 0-5 who have experienced traumatic events and/or are experiencing mental health, attachment, and/or behavioral problems. A central goal is to support and strengthen the caregiver-child relationship as a vehicle for restoring and protecting the child’s mental health. Treatment also focuses on contextual factors that may affect the caregiver-child relationship (e.g. cultural norms and socioeconomic and immigration-related stressors). 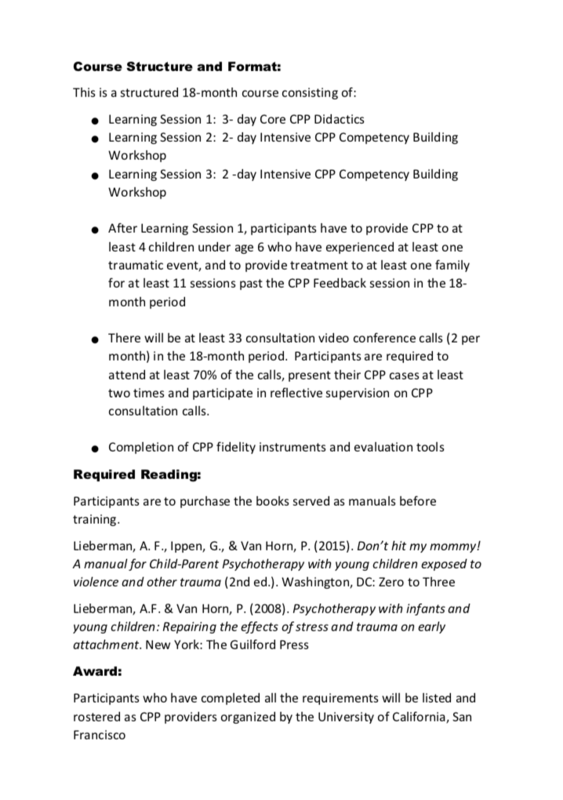 For children exposed to trauma, caregiver and child are guided over the course of treatment to create a joint narrative of the traumatic event and to identify and address trauma triggers that lead to dysregulated affect and behavior. Venue: 3 Tsui Ping Road, Kwun Tong, Kowloon, Hong Kong SAR. N.B. 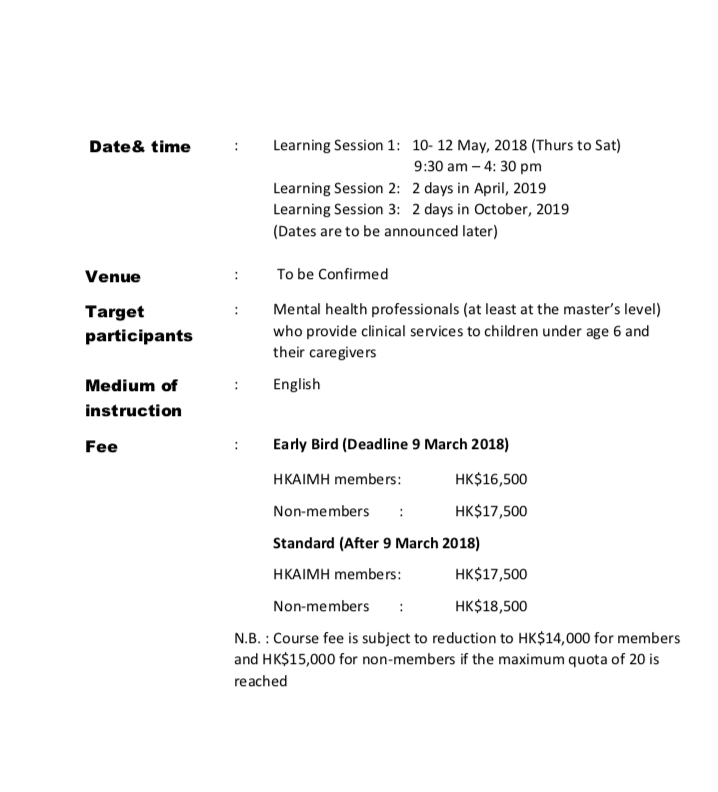 : Course fee is subject to reduction to HK$14,000 for members and HK$15,000 for non-members if the maximum quota of 20 is reached.